Grill chicken breast; OR: Slightly boil chicken breast until it becomes white. Cut breast in long slices and slide it inside the oven. Make sure to preheat the oven for 20 minutes at 450 degrees. Bake chicken for 20 minutes and after this, broil it for 10 minutes. By this time, chicken should be ready for choila. As per my consideration, I would highly appreciate if you had included something else, but not choila. As I have been indulge in this industry for several years and I know food has no boundaries it can be infused of anything. If you authentically speaking I don't see any of this. I reckon mustard oil is must for this recipe none other than as per mentioned. Mustard is the key ingredient in choila. And cast does not means that you know the authencity. You are taking the conversation to somewhere else. I am not an expert by any means. I posted recipe of what I know. There are Nepalese like me who live foreign and may not have access to ingredients we get back home. All I can say is thank you for your suggestions!! Have a great day. Thanks for sharing the recipe! The Choila came out really good!! Thanks 4 the recipie.i am going to make choila tonite.. but are you sure we don't need lemon?? 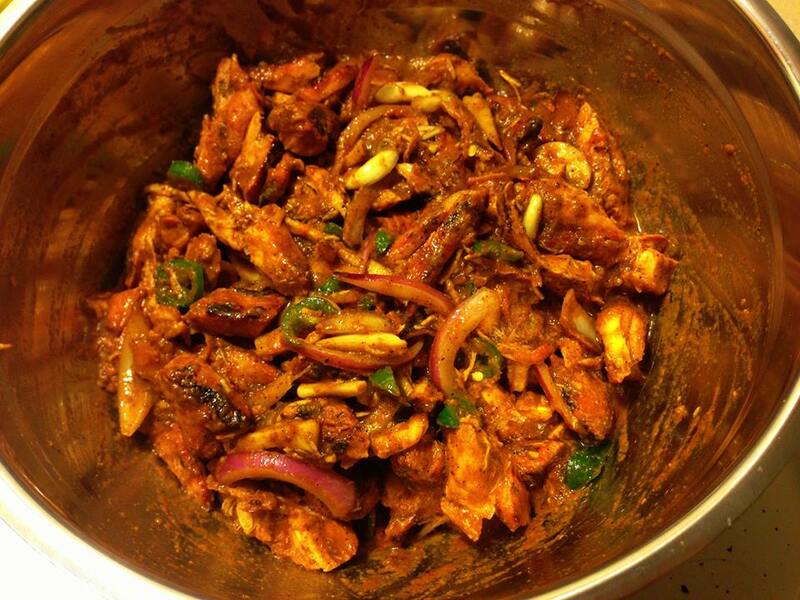 thank you so much for Chicken Choila (Requested Recipe) Recipe giving such amazing and luscious recipes... I appriciate your write up. Thank you very much. When you are away from home, recipes like this remind home. Will try the recipe this weekend. Thank you again. Please ignore the criticism. Badam Sadeko (Spicy Peanut Salad/Salsa) Recipe!! Easy Snacks: Nepali Chatpate Recipe!! Easy MOMO Achar (Requested Recipe)!! Tama Aloo (Bamboo Shoots) Curry! !